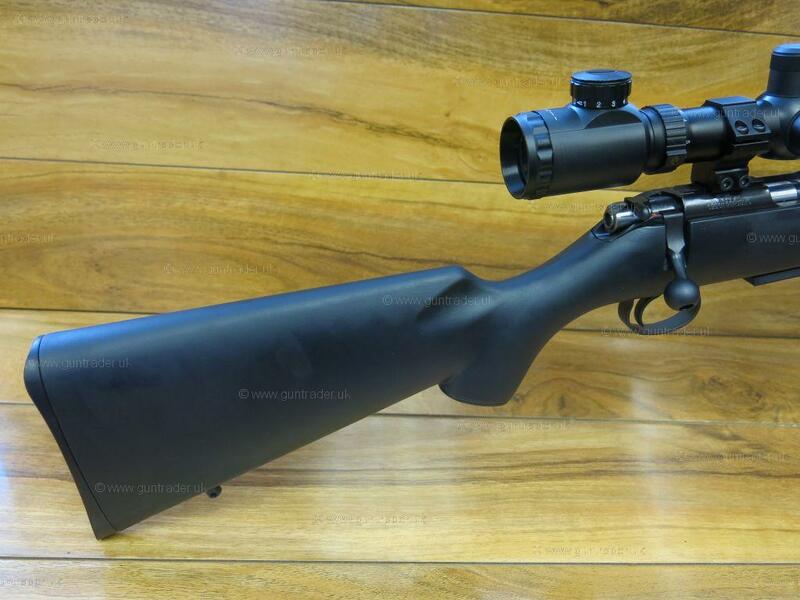 New CZ 455 Varmint Synthetic Carbine bolt action rifle package in .17HMR calibre. The latest model from the CZ range, the synthetic varmint has been on the cards for years offering one of the most versatile and accurate rim fire rifles on the UK market. 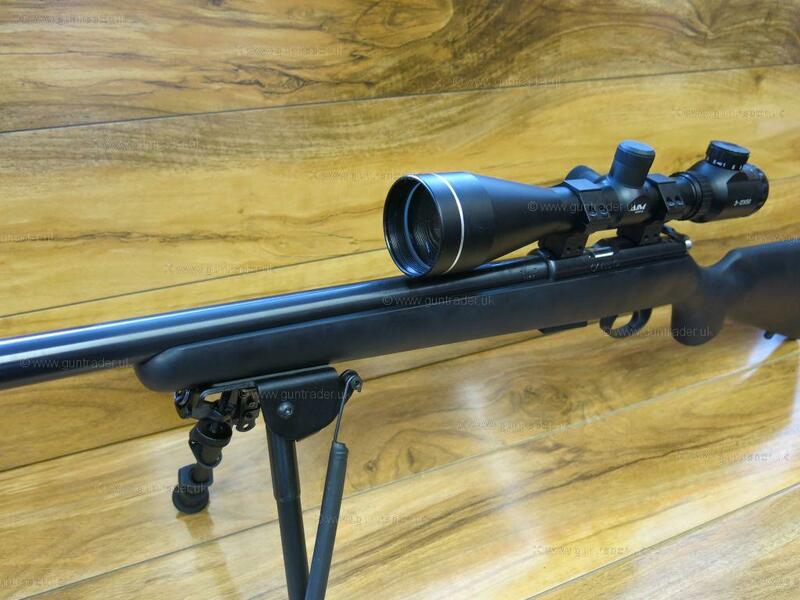 Tough hard wearing soft touch synthetic pistol grip stock fitted with a slim ebonite factory heel plate, smooth 455 bolt action set alongside a blued 16" carbine varmint weight barrel which is screw cut 1/2"UNF, manual rear bolt safety catch, detachable five round single stack magazine. 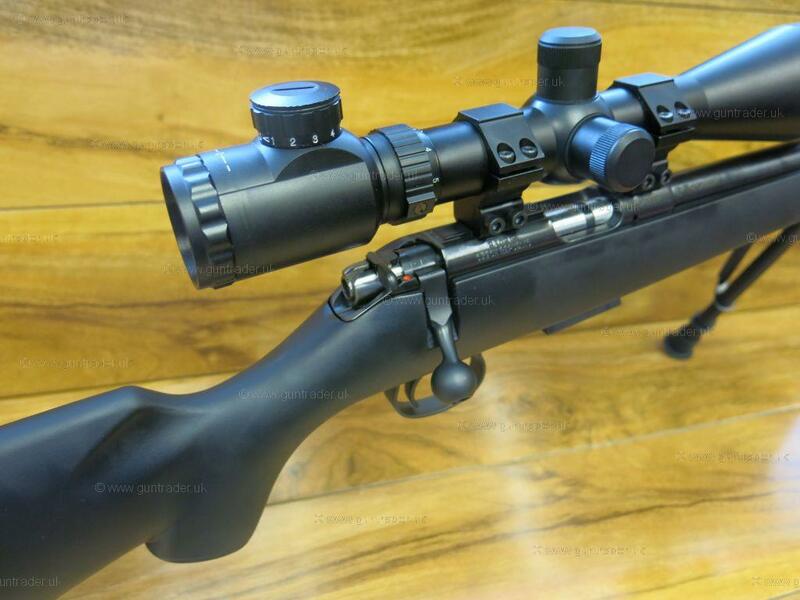 1 x CZ .17HMR 455 Varmint Synthetic Rifle. 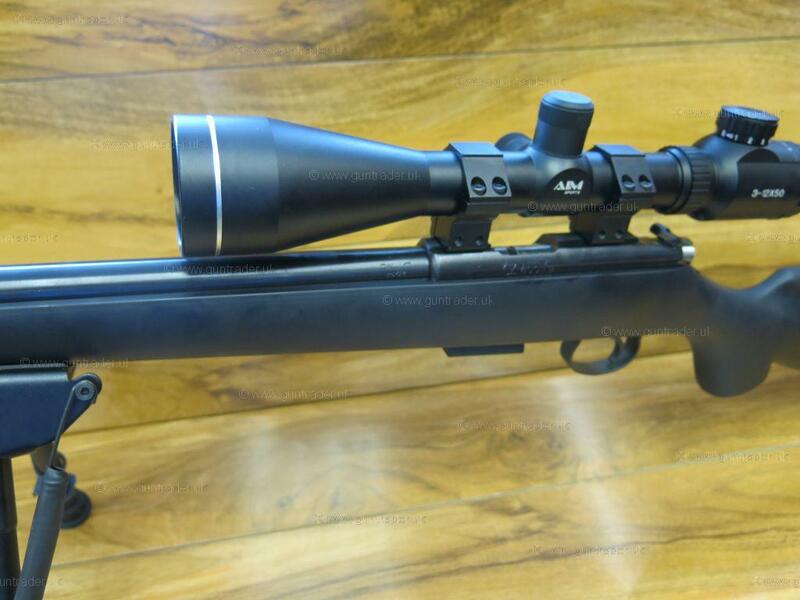 1 x Aim Sport JDR 3-12x50mm 30mm Illuminated Scope. 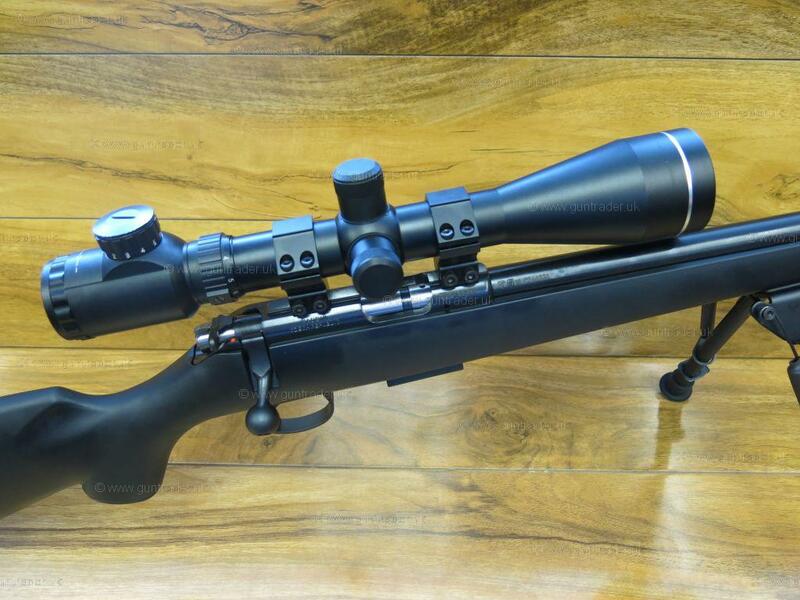 1 x Set of Rhino 30mm Medium Scope Mounts. 1 x Phantom Power Rimfire Sound Moderator. 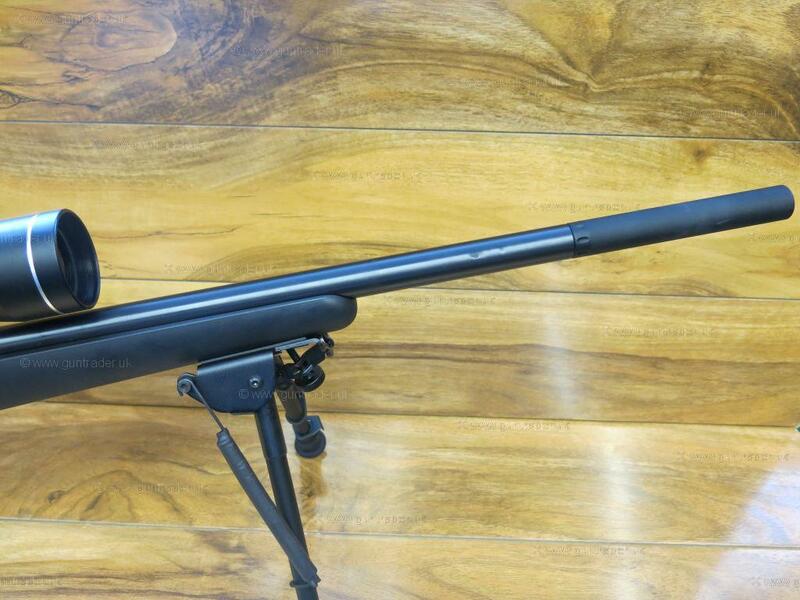 1 x Deben 9-13" Bipod. All of the above supplied complete in a HSF Defiance Single Rifle case! Please call for more information or visit www.Greenfieldguns.com, part exchange welcome, please ask about our friendly 24hour RFD to RFD transfer service.